I could use this space to complain about my crazy busy week, generic but I won’t do that. Isn’t it more fun to wax poetic about the wonders of pasta salad? I think so. A lot of you have asked me for quick and easy dishes. The kind that you can throw together with little preparation and pack for lunch. You also wanted more vegetarian dishes and less sausage. Unfortunately, sales I can’t promise less sausage. Chorizo is my fifth food group. 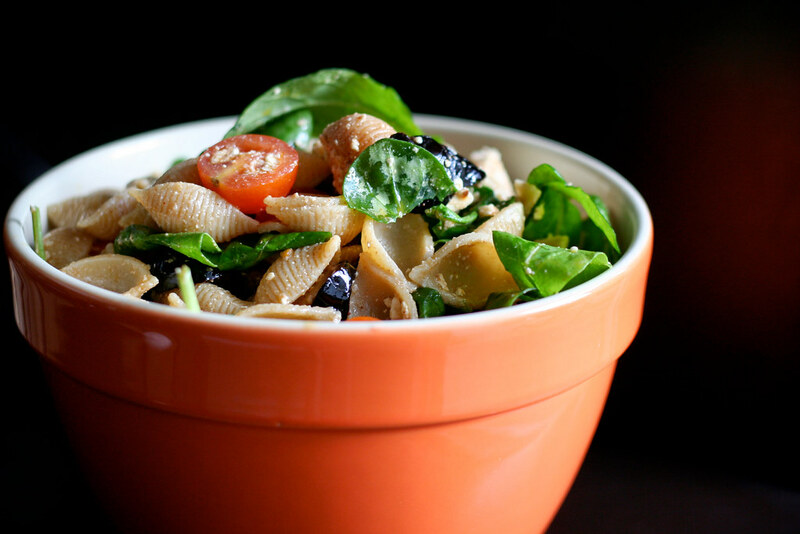 This pasta salad is a really easy dish, but still super flavorful. Because I gotta be me, it also has a little Portuguese Linguica sausage in it, easily left out or substituted with chickpeas for those of you going meatless. I also used cherry tomatoes, oil-cured black olives, fresh arugula and feta cheese. I made a simple smoked paprika vinaigrette which gives the dish more depth, and is especially nice if you omit the sausage. This salad proves that even on the craziest days, you can throw something together that’s good and healthy and puts a smile on your face. And now on to some fun news about the site. I’m happy to announce that next Tuesday (my birthday) I’ll be partnering with OpenSky to launch my very own Bitchin’ Camero store! I’ll sell products that I use in my own kitchen and think you should use, too. If you haven’t heard about OpenSky, head on over to their site and see what they’re about, especially if you’re a fellow blogger who wants a store of her (or his) own. Exciting things are happening here and I’m glad you can all be a part of it! Cook the pasta until al dente, then drain and rinse with cold water to stop it cooking. While the pot is still hot, sear the sausage over medium heat until slightly browned, about 5 minutes. While the sausage browns, whisk together the olive oil, vinegar and paprika until emulsified. 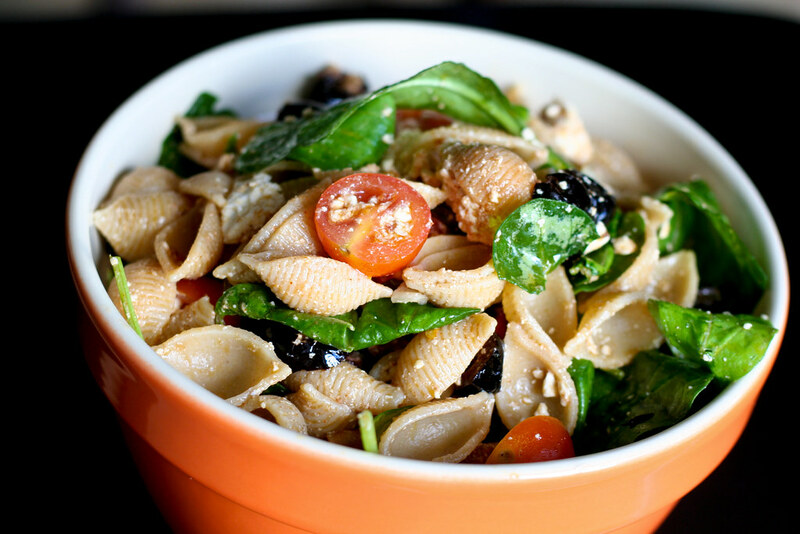 Place the pasta, tomatoes, olives, arugula, feta and sausage in a big bowl. Toss with the vinaigrette until well-combined. Makes 8 side servings or 6 entree-sized servings. oooooooooooh…yesssssss. Pasta salad is awesome..but you had me at chorizo. I am always happy to see recipes with linguica or chorizo. Or both. Both is good! Wow! Looks delicious! Can’t wait to try it!